Dr. Sadia Saeed is a board certified Pathologist and Dermatopathologist. She underwent Pathology residency training at University of South Florida, where she was a chief resident in her final year. 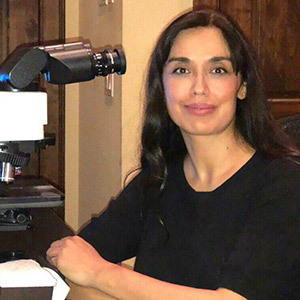 In 2006, Dr. Saeed underwent Dermatopathology fellowship training at University of California at San Francisco, where she had the opportunity to review wide variety of challenging cases sent in consultation from both the United States and around the world. These ranged from unusual melanocytic and cutaneous neoplasms to complicated inflammatory skin conditions. She has been a part of the Advanced Dermatology and Cosmetic Surgery team since 2013, and enjoys her role in both teaching Dermatology residents as well as being part of a busy dermatopathology service.